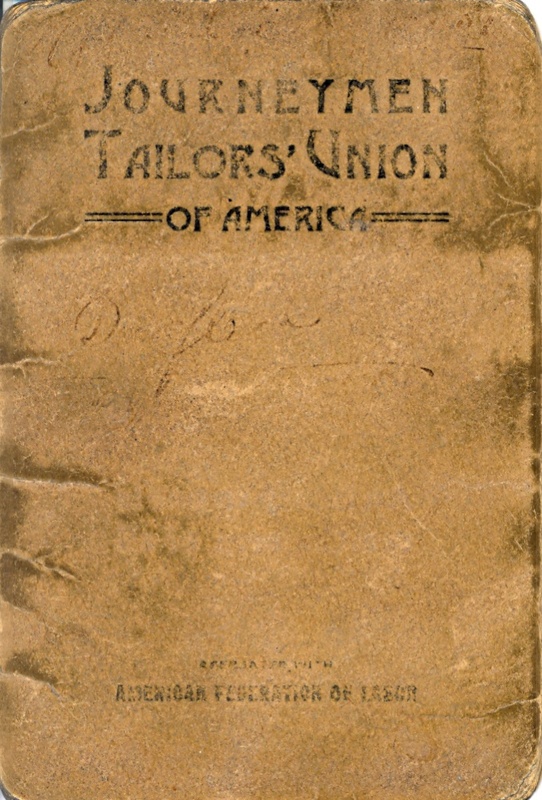 Journeymen Tailors’ Union Handbook | A Continuous Lean. This old book from 1916 stood out to me when I first found it because it relates to the custom tailors union from the early 1900s. Another factor in my intrigue was the fact that the tailor that this book belonged to spent a good amount of time in my hometown – a city with a long history in tailored clothing that is now almost completely gone. I was also drawn to this old union booklet because it is a window into the world of American clothing manufacturing labor at the time. Interesting to see this man traveled from Cleveland to the South and then eventually back to Cleveland, working and paying dues along the way. Maybe he moved around to follow the work? I’m not totally sure. 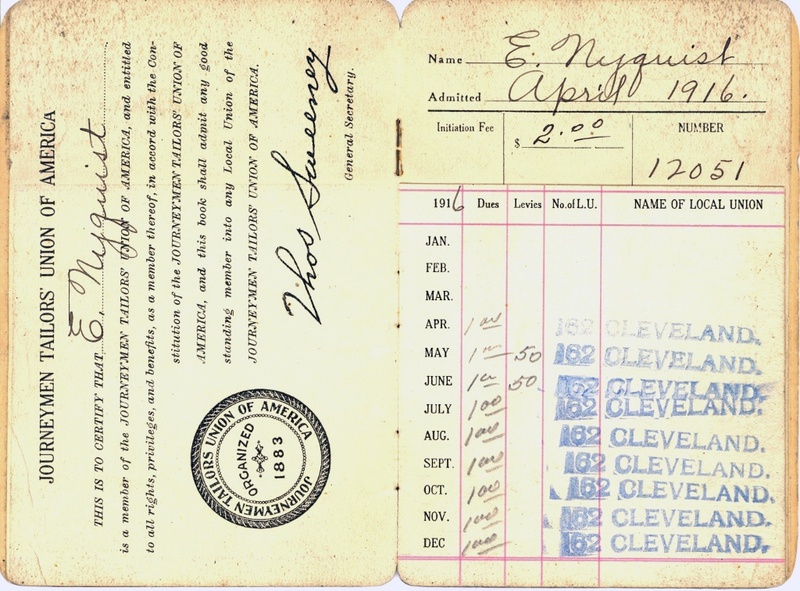 This is the kind of ephemera that I love to find and collect – it is like a window into the past. 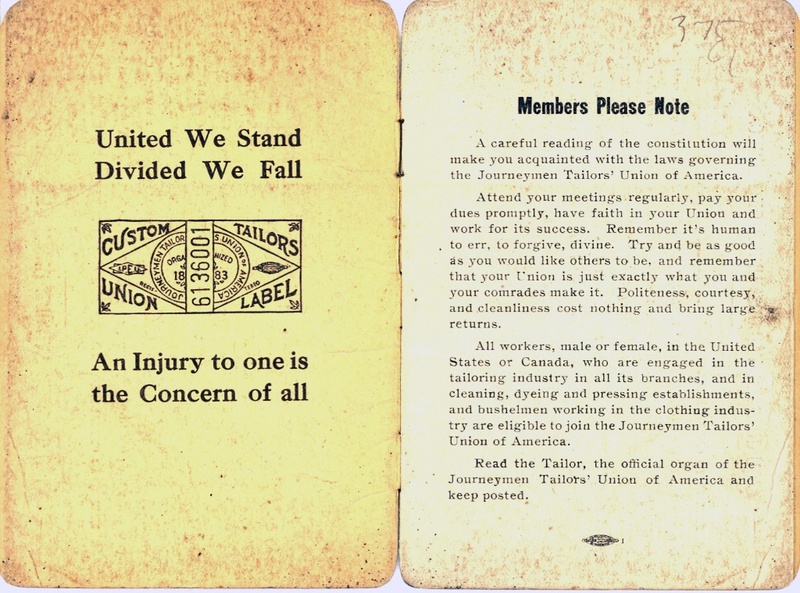 These days you see the union label (pictured on the middle page below) on all sorts of garments (made domestically and otherwise), but I bet a lot of people don’t realize it was (and still is) real. Love it. We have a couple of similar notebooks around the apartment. Artifacts of American history and heritage. Amazing. Oh the days of wonderful penmanship. Thanks a lot, computers! I think the Cleveland in this case is Cleveland, MS, deep deep in the south as is. “Artifacts of American history and heritage.” Hopefully unions don’t become artifacts as well… Here’s to you Ohio SB5! Wonderful post though; really, keep up the nice work. I’m an IBEW member journeyman inside wireman in my mid 30’s. When I was growing up to be Union meant something, now the RATS have took over. I worked with more a few old timers that put their time in and a respect them for sticking to it. Being a journeyman isn’t easy. I bet these brother’s grandsons and great grandsons are anti union. There use to be a middle class in this country. The decline in the middle class goes hand in hand with the anti Union rhetoric that people speak. As an Industrial and Labor Relations major from Cornell, I appreciate this post. 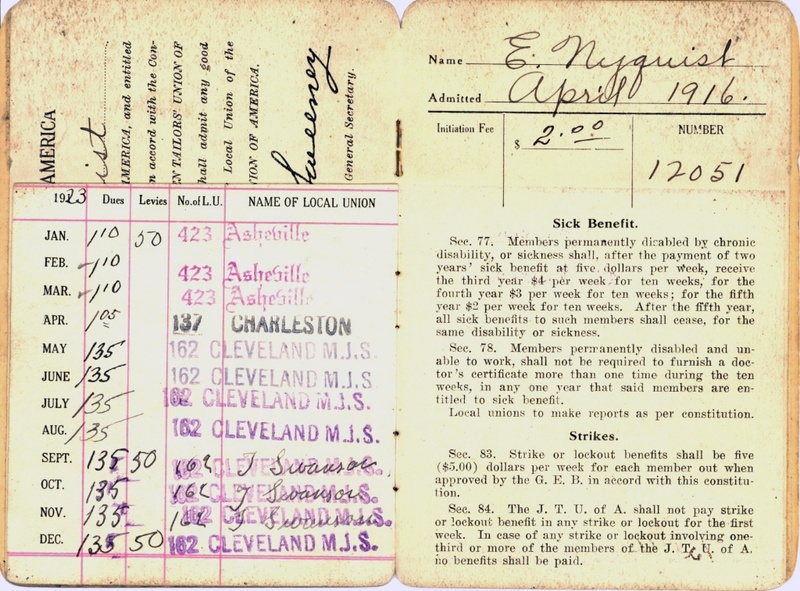 I worked at my school’s labor and management archives and specifically handled the ILGWU archives. Archiving union memos and ads/propaganda in a variety of media was delightful. As a job perk, I had the opportunity to view the classic Oscar-nominated ILGWU propaganda film, “With These Hands,” on VHS. The Kheel Center at Cornell has digitized copies of old film reels from the ILGWU, and if you’re interested, you should contact the school to see if you could obtain a copy of these films. That is such a cool piece of history. A good tailor is hard to find, and this find is extra-relevant with all the concern over unions these days. I wish I could flip through the rest of the booklet. years ago. Wish I’d gotten more.